In the style of all ongoing swaps, I thought it was about time we launched an ongoing inchie swap. I’ve chosen to do it at this time of year when many are snowed under with Christmas crafting or socialising and need just a small swap to slot into their busy schedule. You will need to make a list of at least 8 themes for people to choose from. I will put up my list first and will wrap up the swap by making the last claim. Once you claim you will need to craft and send 8 inchies of the chosen theme and send them within 2 weeks of the claim date. Please only claim from the last person in the list / chain. When you claim, you should message the person you have claimed and ask for their address. You do not need to message me when you claim, I’ll read this on the forum. That is Date, sender name, receiver name and theme. Without this information it is impossible to keep track of the claims. You must resend if inchies are lost in transit. DO message me as soon as you send or receive – You need to include the send by date, your user name and the user name of the person you have sent to/received from as well as the theme. This is a requirement of this swap. How many claims can you make? What 4 pieces of information are you required to send to the organiser AND co-organiser (Nilmerg, kimchery) when you send AND receive? Do you have access to a scanner or camera? 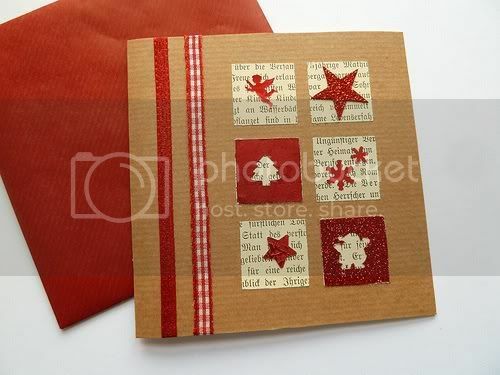 It is a requirement of this swap that you post your inchies in the gallery. Please inform your claimers if you do not have access so that they can take images before they send. PLEASE ONLY USE THIS THREAD FOR CLAIMS. THERE IS A DISCUSSION AND GALLERY THREAD HERE. * before name means 'sent early' - you will get this is you send more than 5 days early. teachart to mini_mum - symbols of royalty - Lost in Post new set was sent on 7th January. *Robinpich to rainfallingonatinro of for "things that grow"
Smmarrt to pioneer9 for a combo of monsters, robots, creatures and quirky people. Smmarrt to JillHogan for cats, cats and more cats. smmarrt to nilmerg for artist's choice and blue. Melmakespretty to Nilmerg- Artists Choice and Blue. Quisor to pioneer 9 for Zetti-style theme only. *Quasior to mini_mum for rainbows, flowers and stars. c*lientje to Smmarrt for a combination of themes - sent one month late on 17th January 2012. *JillHogan to Nilmerg for blue patterns. Mini_mum to Robinpich for doodles, swirls and whatever else I feel like doing!! THIS IS THE END OF THIS ROUND OF THE ONGOING INCHIE SWAP. PLEASE JOIN US FOR ROUND 2 IN MID FEBRUARY. THANKS TO ALL THOSE WHO PARTICIPATED. HAPPY NEW YEAR!!!!! DON'T FORGET TO KEEP AN EYE ON THE GALLERY AS WE STILL HAVE MANY SETS OF INCHIES TO BE RECIEVED! Hi, I’m Nilmerg, I’m from Tumut, NSW, Australia. I'm currently trying to collect blue inchies for my blue inchie frame project. I'd love it if you would select one of the below themes AND make the inchies mostly blue. I’d prefer not to receive any adult themes, religion or politics. I have no allergies. Hi, I'm Lauren, I'm from Melbourne Australia. I would prefer not to receive adult themes. Hi, I’m Cathy from Pennsylvania. I would prefer to not receive adult themes. I am OK with a mix of themes from my list. Hi everyone! I'm Caroline, I'm from the Netherlands, then moved to England, but am currently living in China. I live at a boarding school (I teach English to 2-12 year olds), so please keep your art family friendly. Also please nothing religious or political, as these matters are quite sensitive in this part of the world. I'd prefer to receive either a set of 8 (one theme) or two sets of 4 (two themes), but if you've got other inspiration just PM me... I'm sure I'll be perfectly happy with whatever you come up with! Thanks in advance for claiming me! Wow, that was fast, you claimed while I was typing! LOL.